Considering I am doing a fresh install of Mint Mate 18.2, I decided to do updated guide for installing F@H and BOINC on a Debian branch Linux for any interested to running these applications on a Linux. First off, ensure the Linux OS is up-to-date. I usually utilize Update Manager to apply updates on Mint. Otherwise, if your OS is already updated, skip on to the next step. Next, ensure to have the GPU driver installed. 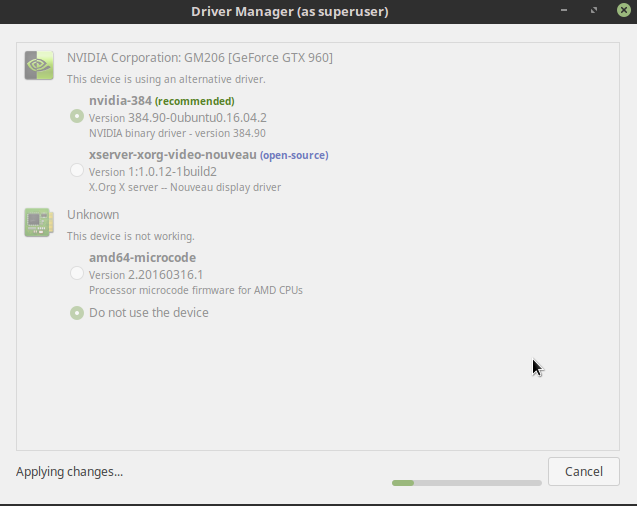 If already installed, skip on ahead; otherwise, open up Driver Manager and select the driver for your GPU. 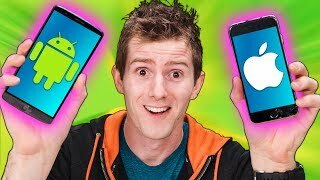 Ignore the chipset driver, you only need to be concern with the GPU driver. Alrighty, OS is update and GPU driver installed. The next thing I like do myself is enable overclocking for the GPU. Note: this is for nVidia GPUs (don't have AMD GPU on hand). Run this line within Terminal. This enables fan control and overclocking through the NVIDIA X Server. Restart after running this command. Once rebooted, open up NVIDIA X Server. Under Thermal Settings you will now have fan control. Under PowerMizer, you now can set clock and memory offset for overclocking. 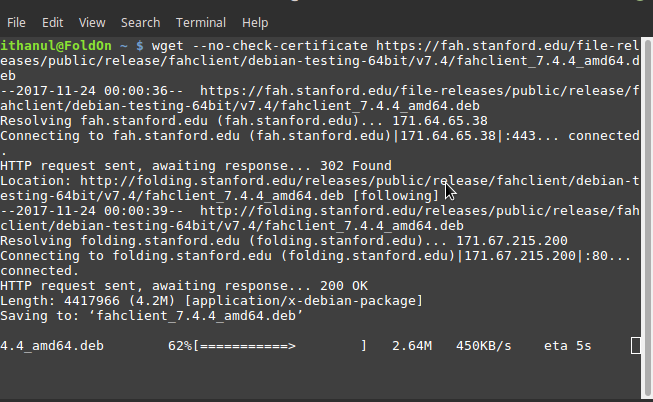 Now, onto getting F@H to play ball with Linux. First off, the newer Ubuntu and Mint distros no longer have the python support package that F@H needs. If you rather use a package manager, you can find this package by doing a search for python-support. 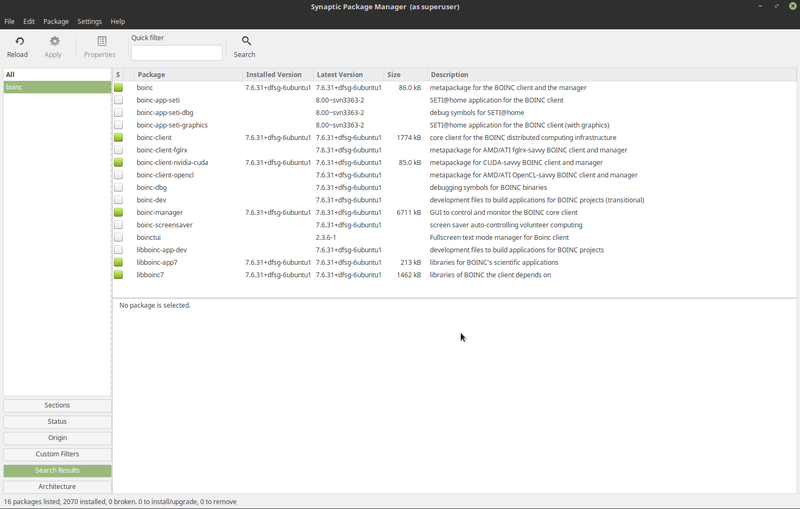 Synaptic Package Manager has the ability to install it. Once that package is installed, onto downloading and installing F@H.
hese commands will download the packages for the fahclient, fahcontrol, and fahviewer (viewer is optional). 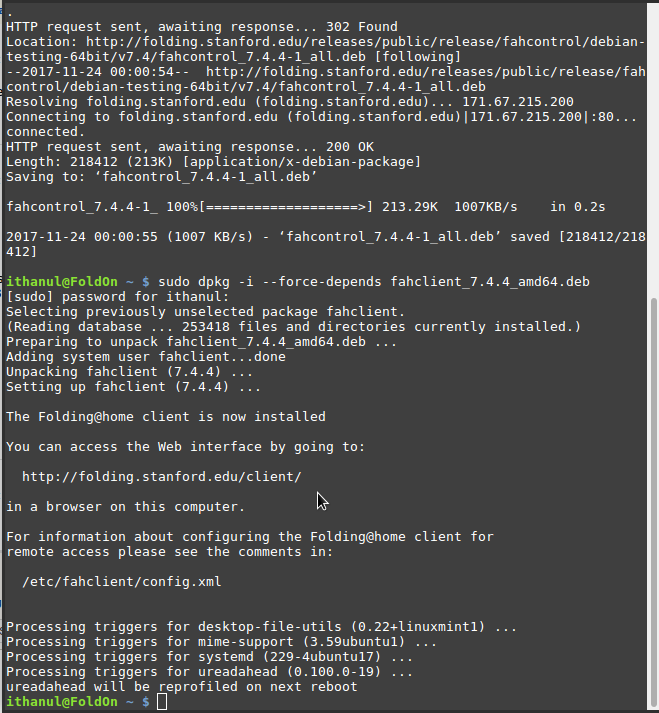 Now, install the fahclient first as this is the heart of the application. 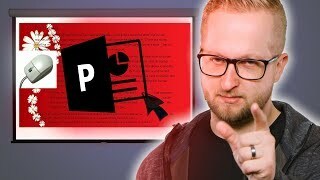 During the installation, you will be asked for username, team number, passkey, folding level, and if the client should start up automatically at startup (highly recommended). Afterwards, this what the Terminal should look like for a successful install of the client. Alright, from here you don't really need F@HControl nor F@HViewer. 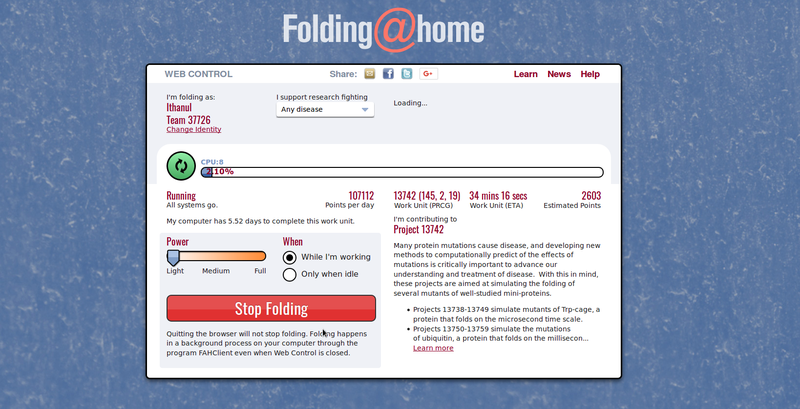 The web interface link will work, but note, your GPU will not be folding and the CPU will be folding. This the major reason I prefer to use Terminal for installing, easier to see what going on with an install. 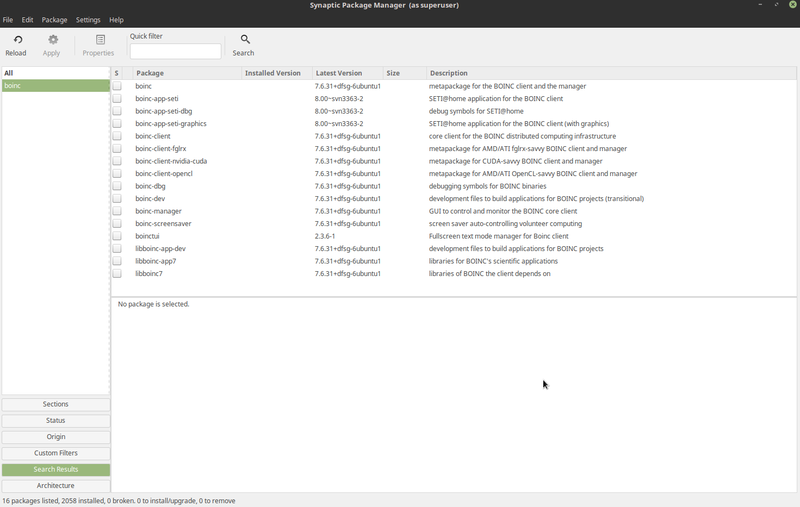 First, uninstall fahcontrol with Synaptic. Click Search and type fahcontrol. Hit Enter. Fahcontrol will show a big nice red block beside it if any dependences are out of wack. Right click on it and select mark for uninstall. Apply will become available. Hit Apply then Ok. Fahcontrol should now be uninstalled. Now, onto getting that genome2 package installed. Click Search again and type python-genome2. Mark the python-genome2 for installation. 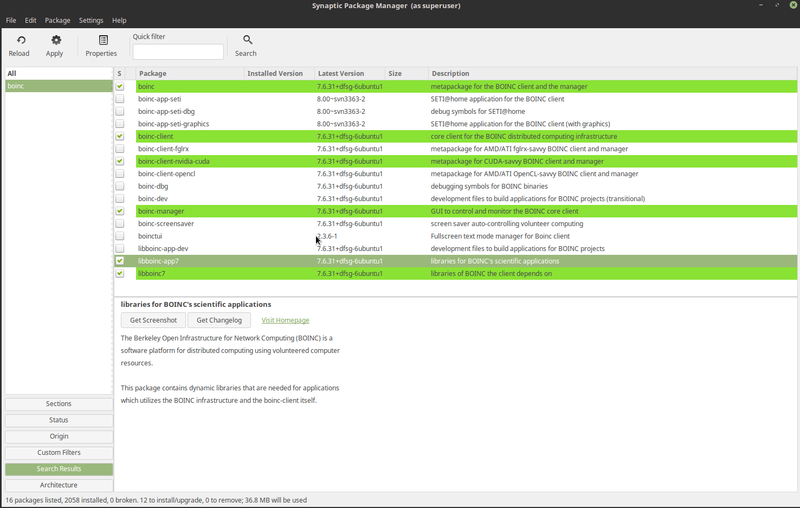 Click Apply, Synaptic will install the dependencies for the package as well. Now, reopen Terminal and run the install command for fahcontrol again. No errors should show. You can double check in Synaptic since it will show green now within that application. 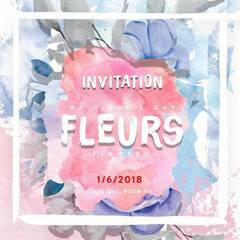 This will launch F@HControl. Now, you have the GUI to control the client. Tomorrow I will add BOINC guide to this. Also, will add on how to get the GPU up on F@HControl along with some more advance settings. Also, anyone with an AMD card running in Linux. 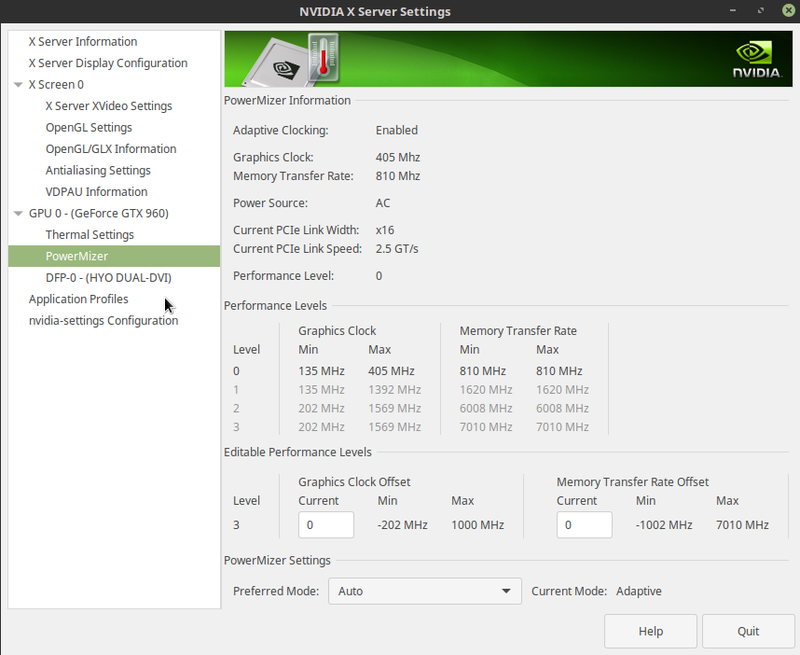 I would be very glad for screenshots on driver install and steps on overclocking within Linux. I must give a shout out to Beercan over on OCN. He the one who figured out that F@H required the python support package to work on the newer Debian branch Linux distros. First off, the value for GPU needs to be switch from false to true for the client. To do this, click on Configure. Then go over to the Expert tab. Double click on the false for GPU. Now you can erase out false and type in true. Click Save, and now Reboot the computer. 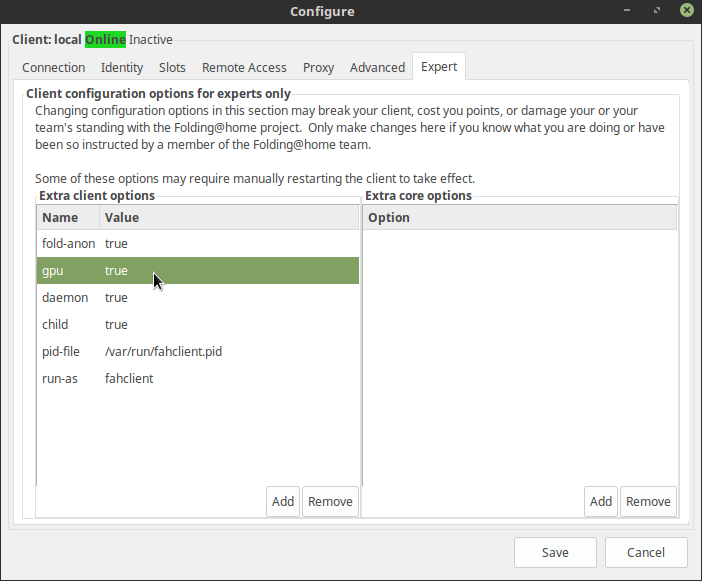 Reopen up F@HControl and click Configure again. This time, click on the Slots tab. 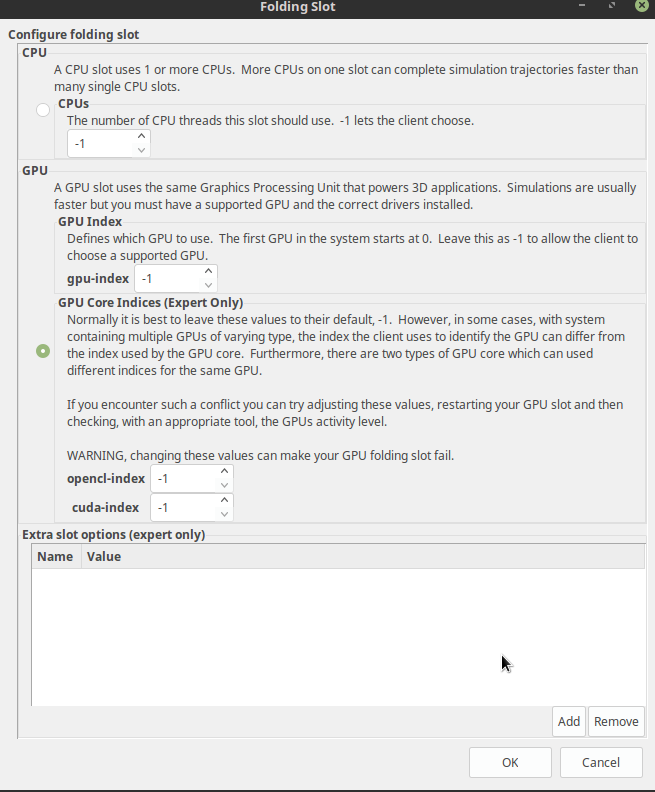 Click Add, you will see a radio button for CPU and GPU. 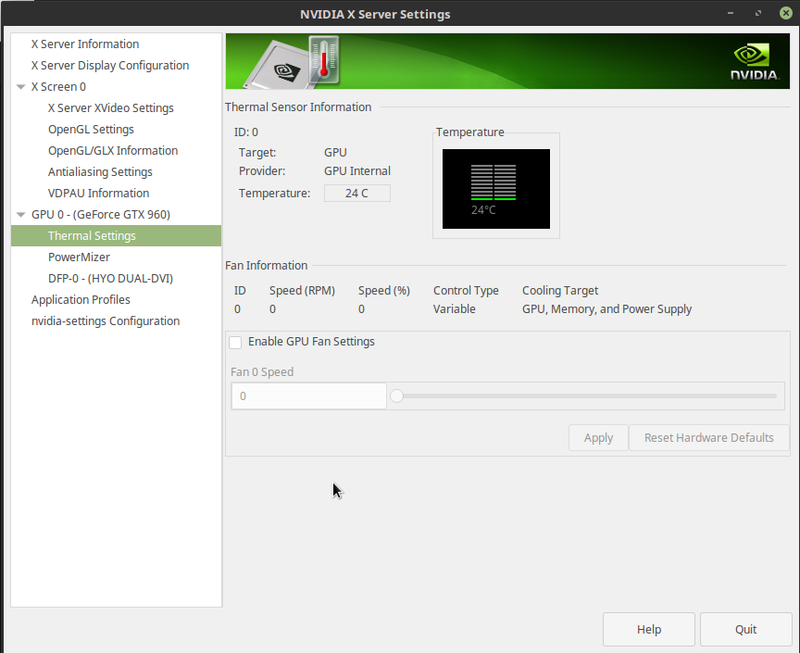 You want to click the radio button for GPU. Leave the values as is and click OK.
You should now have this shown in the Slots tab. Click Save. GPU slot is now added. Next ensure you on the Slots tab. On the Slots tab click Add near the bottom. Folding Slot Window will appear. Leave all values as is and click OK.
Configure window will now show this. Click on Save. 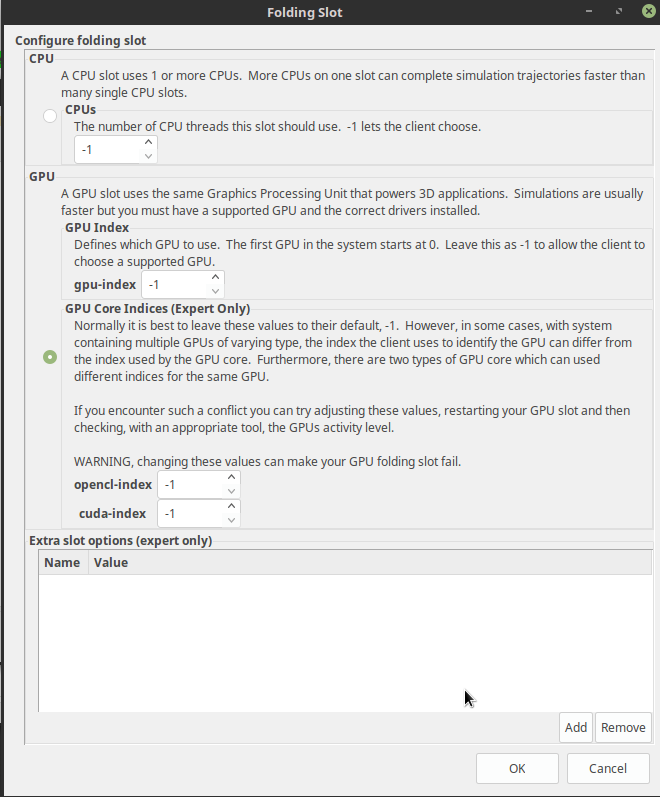 You will now have two GPUs shown in the FAHControl GUI. Note: FAHControl does have a habit at times on mixing up slots and GPUs. Below is some tips on how you can figure out if FAHControl is showing correctly. Have one GPU do an unit. This will load the GPU and cause its temperature to go up on the core. 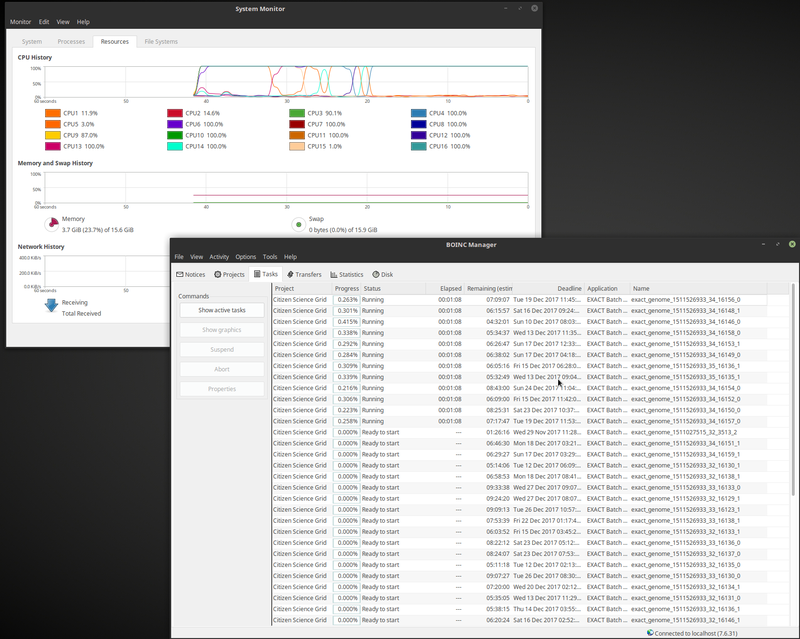 Using X Server, you will see which GPU has a load and temperature increase. In my case, GTX960 is labeled correctly in FAHControl except for its slot. 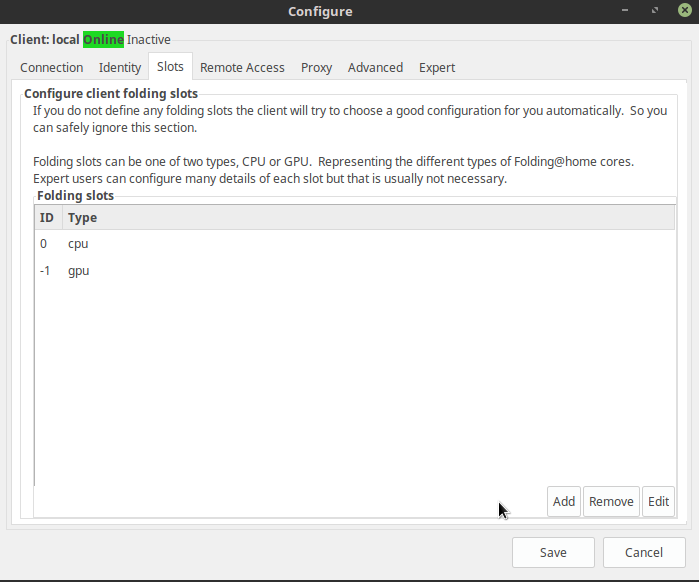 This will not impact folding performance, so it alright to leave this GPU showing as slot 2 in FAHControl. Also, dealing with Maxwell cards, when loaded with a F@H unit they will drop to state 2/level 2. This is normal behavior for these Maxwell cards when folding. Usually where this gets tricky is when you have multiples of the same type of card. As your slot 1 card may not show as slot 1 in FAHControl but as a different slot number. The following is steps to installing BOINC on a Debian Linux distro. I done these steps on Ubuntu, Mint, and Fedora. BOINC is far easier to get up and running on Linux compare to F@H.
First off, open up a package manager. 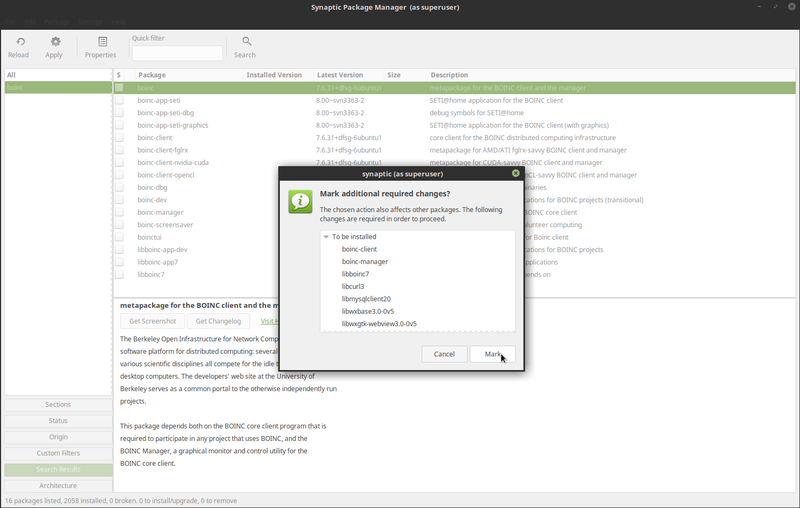 In these steps, Synaptic Package Manger is being used. Click Search and type boinc. Click Search or Enter. 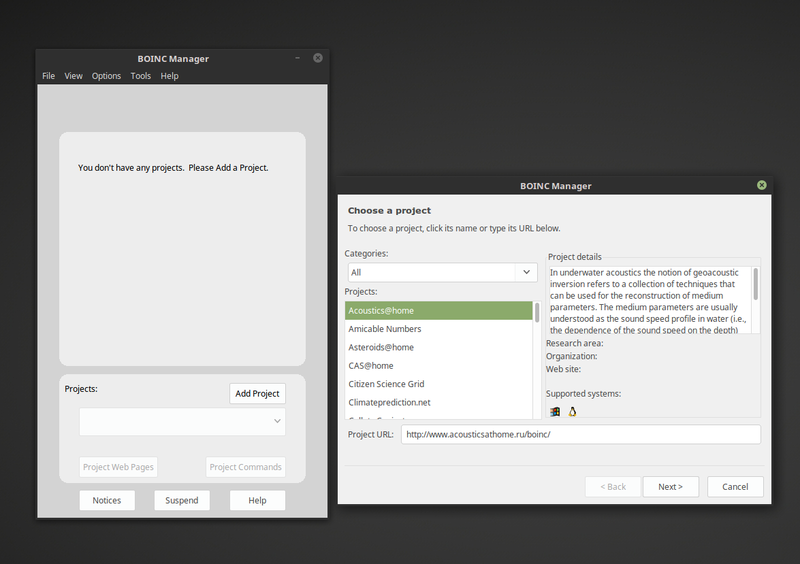 The package manager will show the available BOINC packages for install. Mark for Install the boinc at the top. This will mark the other packages like the GUI and client for installation as well. Now, you should have something similar to this. You not done yet. Depending on what GPU you have. 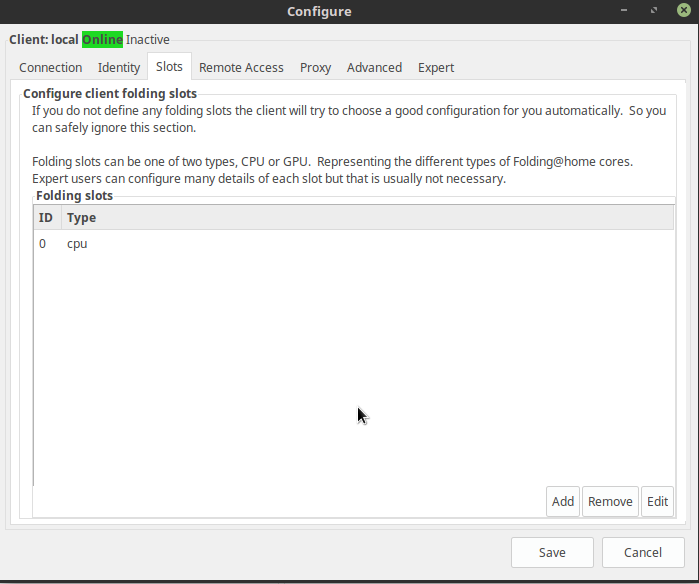 Click either the nvidia-cuda or opencl metapackage for Install. Also, click the libboinc-app7 for Install to save some headache in getting projects to work. Now, you should have something like this. 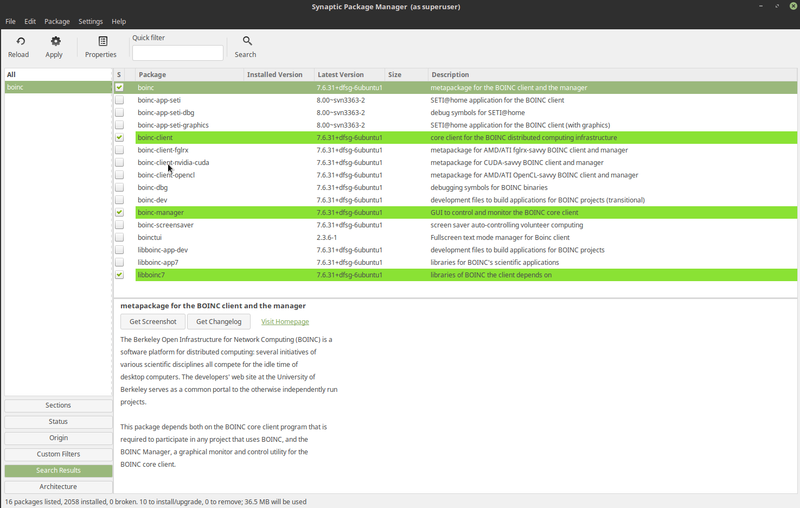 Now Click Apply, the package manager will install all the packages. Once Installed, you should have something similar to this. BOINC is now installed. Yeah, I know, so much easier than F@H (seriously Standford, up your game. Berkley kicking you at installation). Now, open up BOINC because I don't think you want your CPU pegged at 100% usage if you plan to use it. This is basic view. It is usable, but kind of lacking once you get the hang of Advance View. To change Views, click View then Advance View. 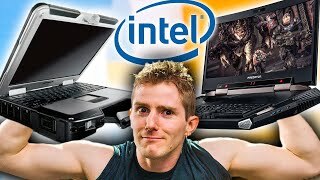 Alright, time to change Compute Preferences. 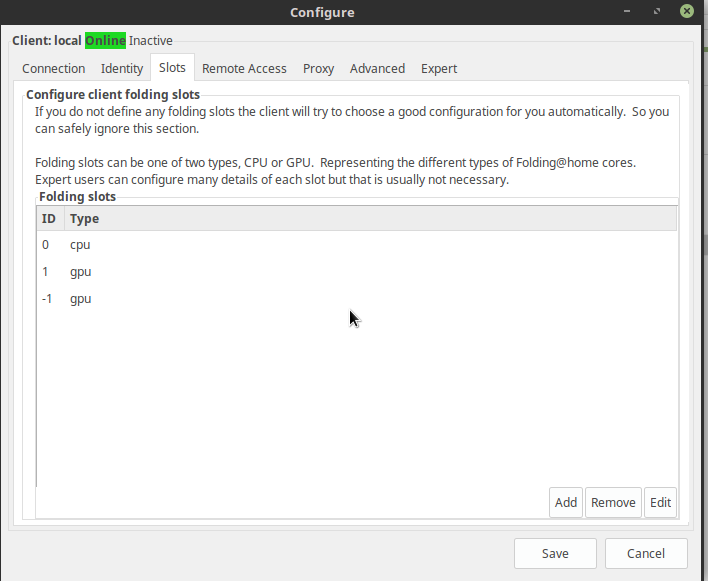 Click on Options then Compute Preferences. You will get a screen like this one. BOINC by default puts CPU at 100% on Usage Limits. The first percent space controls how many threads will be loaded on the CPU. The second percent is CPU time/load. I usually like 80% on the first with 99% on the second, so I can use the computer. Otherwise, I will set the first to 95% during big BOINC events. Best thing to do is play around with the usage limits to see what load you prefer on your CPU. Most of the rest are easy to understand. You can control how BOINC will handle the GPU if any projects are using it and set how much days of work you want stored up. For just casual BOINCers you probably fine on the defaults, us nutty big time BOINCers who compete in the Pent mess with these settings a lot for bunker techniques. Click OK once you are done setting your preferences. Now, your computer is off to the races.